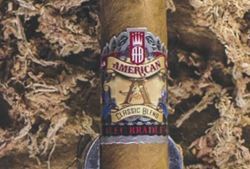 When Alec Bradley introduced their price-conscious, flavor-forward American Classic blend in 2011, the cigars quickly gained critical acclaim; praised as setting a new bar in the realm of affordably priced premiums. The cigars make use of Central American tobaccos exclusively, highlighted by a golden-hued, Honduran-grown, Connecticut Shade wrapper. 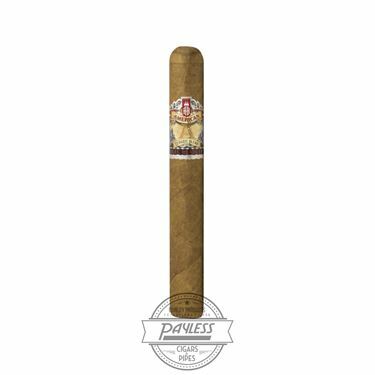 This is paired with a Nicaraguan (Jalapa) binder and Nicaraguan (Estelí & Condega) filler tobaccos. This is a somewhat unique approach, with Connecticut Shade wrapper being ubiquitous in Connecticut, USA and Ecuador—not typically being grown in Central America. The idea is to offer an old-school experience that can fans would’ve enjoyed near the turn of the 20th century. Have they succeeded in their old-school recreation? We don’t know, because there aren’t any early 1900s cigars in our warehouse… What we do know, however, is that these babies are smooth as butter! Light one up and experience the mellow wave of creamy goodness envelop your palate. Flavors are of table cream, white pepper, butter, honey, and green tea. This is a no-brainer, everyday smoke to fill your humidor—with a morning coffee being our ideal time and pairing of choice.